ANN ARBOR – ESPN announced Thursday the Notre Dame vs. Michigan game on September 10 at Michigan Stadium will be telecast in primetime on ESPN. 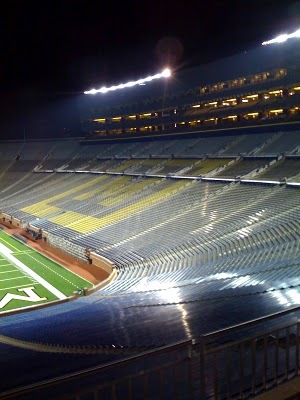 The game, scheduled for an 8 p.m. (ET) kickoff, marks the first-ever night contest in Michigan Stadium. The game will not appear on ABC due to the NASCAR Sprint Cup series, which will be broadcast live at 7:30 p.m. (ET).